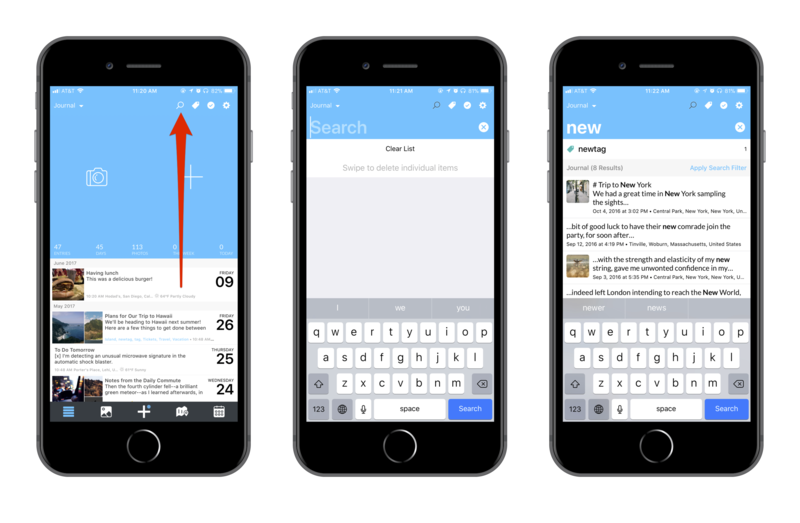 You can search for keywords, phrases, locations, and tags in Day One. This can be limited to the current journal or all entries. 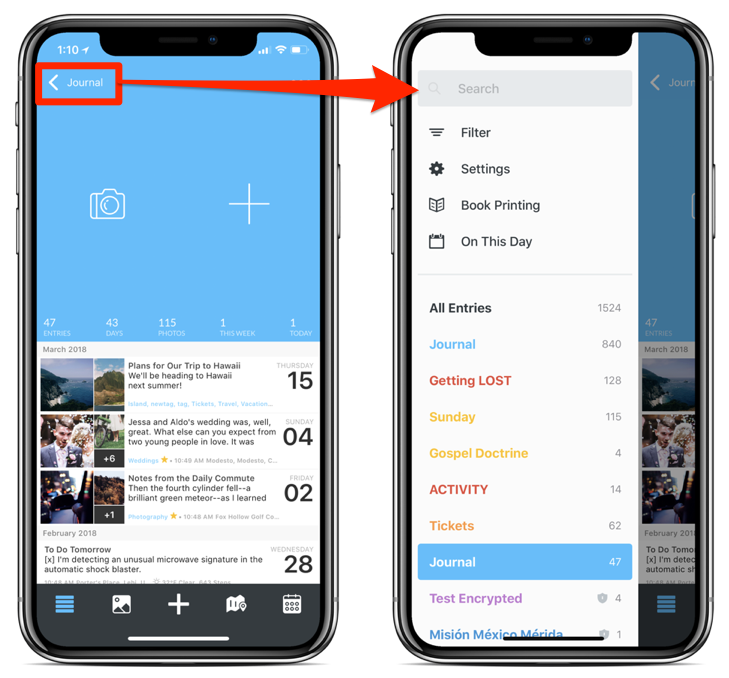 Tap the Search icon at the top of the Timeline view to begin a search. 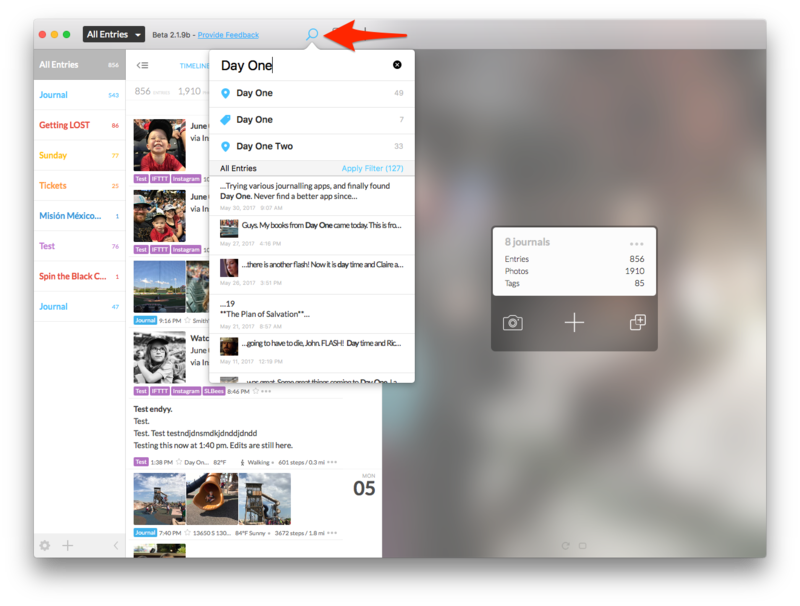 Or simply swipe from left to right on the Timeline view to reveal the Journal Drawer. Type the search criteria and entries will begin to appear. Click the Search icon at the top or use Command + F to begin a search.